As seen in the statistical tabulation, mortgages are one of the most critical elements of the financial crisis. A poor credit rating may often be a major problem in acquiring a mortgage, but there is good news; lenders are prepared to help those whose applications may be refused elsewhere. This was often the case between 2007 and 2008, when a similar financial crisis emerged due to poor credit. The main lesson to be taken from this is that obtaining a mortgage can be substantially more difficult for people with credit issues. The particular criteria of the lender often supports the credit crunch, thus making it very difficult for borrowers to maintain a good credit score. Mortgage applicants with poor credits or low credits may not be viewed as positive members by the lenders. Lenders require the assurance of transparency on behalf of the borrowers that they can properly manage their credit. This is necessary so that keeping the track record of debt is well conducted and up to date. It is also important to keep in mind that despite a large deposit or a handsome salary, a bad credit rating may result in the refusal of a mortgage application. If any of the above factors applies to any of the applications, the chances of being eligible for the mortgage deal slowly tend to decline. Or in may be that the applicant has to pay a higher rate of interest, regardless of their financial situation. 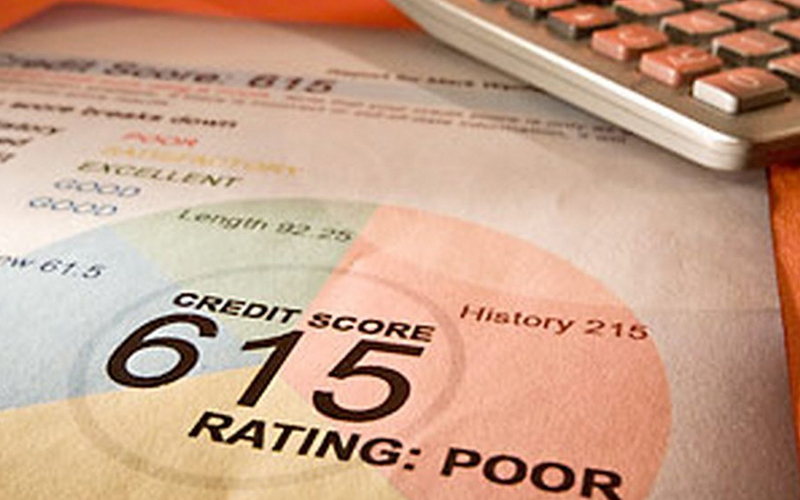 Before applying for a mortgage, one should thoroughly review the credit report or credit history. This is especially important in cases whereby chances of refusal seem high. Before approving the mortgage, lenders will review the pay slips of the employee or typically the past three years of the applicant’s account (if the person is self-employed – they will generally ask for bank statements). It is critical that the applicant review a variety of potentially simple oversights, such as not being registered on the electoral roll or failing to cancel credit card accounts no longer in use, as both may have potentially negative impacts on their credit rating. What is Bad Credit Mortgage? Basically, bad credit mortgages do not exist. They are nearly the same as standard mortgages and are nothing more than mortgages that a lender will offer to people who may fail credit checks with other lenders. They are also known as “Subprime” mortgages, or adverse mortgages. They are in place to help people with generally poor credit histories and assist them in climbing the property ladder. However, interest rates and charges on subprime mortgages are higher as people with poor credit ratings are deemed to be at a higher risk. However, once the applicant has spent some time paying off their bad credit, the mortgage on time will recover the poor credit ratings, which should allow the credit-y be able to move to a standard mortgage slab with a lower credit interest. Can We Get A Bad Credit Mortgage? Typically we find that the interest rates on poor credit mortgages are higher than standard mortgages. Therefore, a larger deposit is required for lowering the interest rate as there are options available. Generally, they don’t accept applications from persons made bankrupt in the last six years, unless the credit file of the referred is cleared without any discrepancies. Obtaining a Mortgage with Bad Credit: How Does it Work? A bad credit mortgage is similar to a standard mortgage. The main differences occur in terms of rates and interests. Several types of bad credit mortgages are available; such as fixed, variable and discounted rates. However, that doesn’t mean that they will have better rates than the standard mortgage. In fact, the opposite is likely to occur in most cases. The main factor behind this is that the mortgage provider has less reason to loan a person a larger amount of money at a lower rate of interest rate if the credit rate is poor. The risk on their side is mitigated by the higher interest rate and larger deposit that occurs during payment. Applicants will probably need a deposit of at least 15% or more of the value of the property. If they can get to about the 30% mark or higher, they will have a significantly higher chance of having their credit approved. How to Remortgage with Bad Credit? Remortgaging with bad credit might not necessarily be something of worth, but sticking to the current lender is always preferable. Sometimes the credit score of the person is dampened due to mortgages already in place. This results in the worst rate of mortgaging. One can exit the process of re-mortgaging, whereby money is eaten up by the booking fees and, eventually, one can save less at low rates.